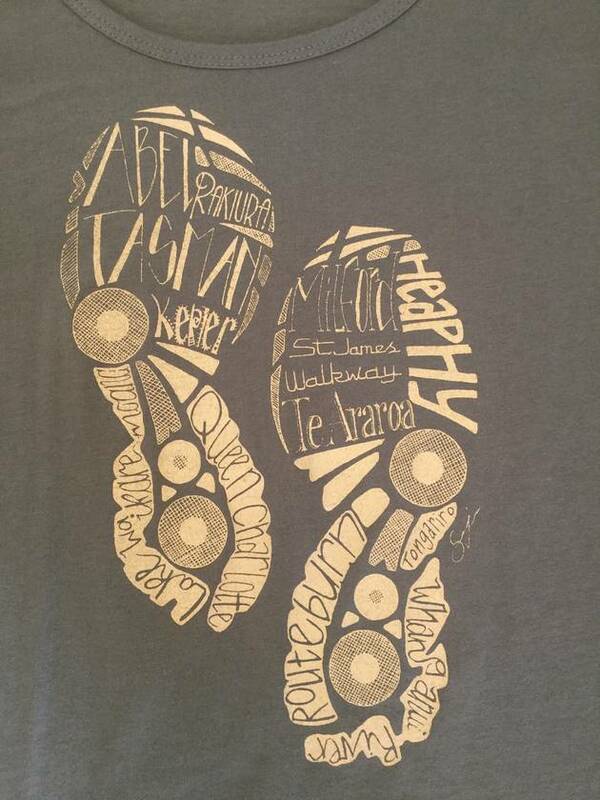 This is my hand drawn design incorporating the Great Walks of New Zealand. 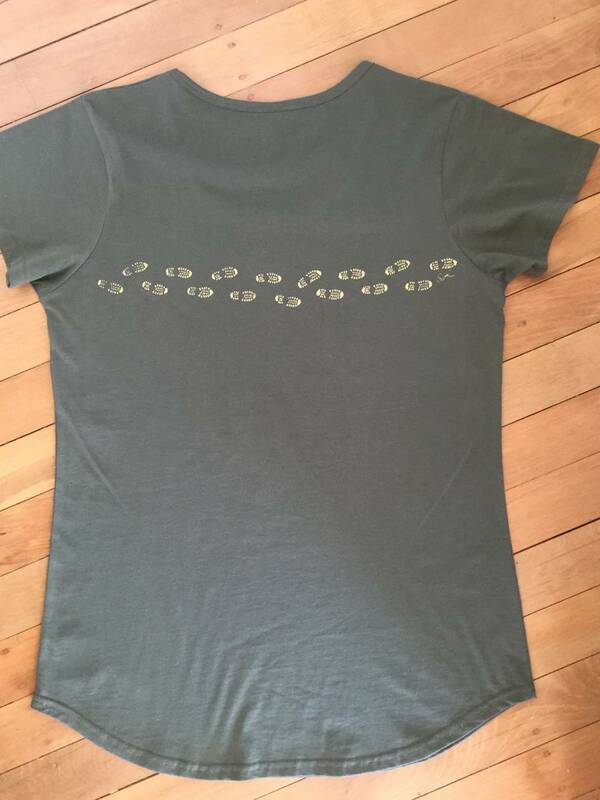 It is printed onto a khaki 100% cotton t-shirt using gold ink. 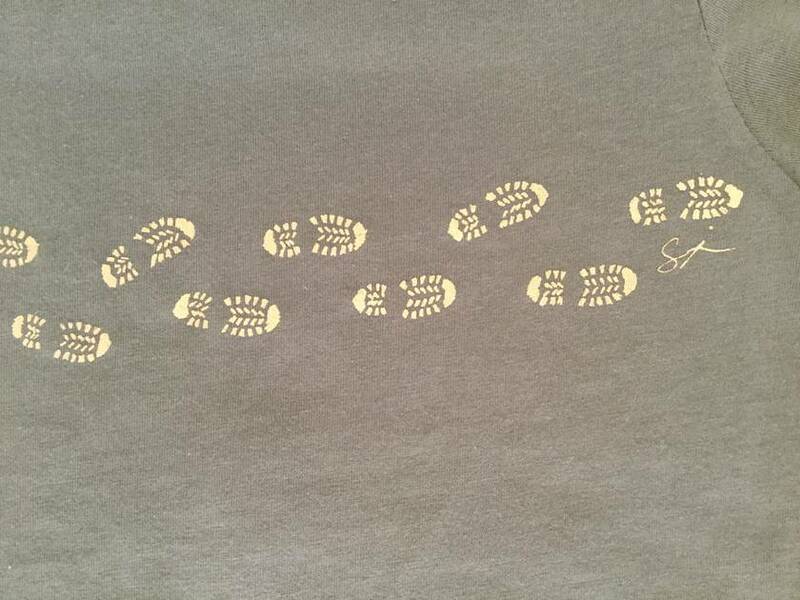 A footprint design is also printed onto the back of the tee. 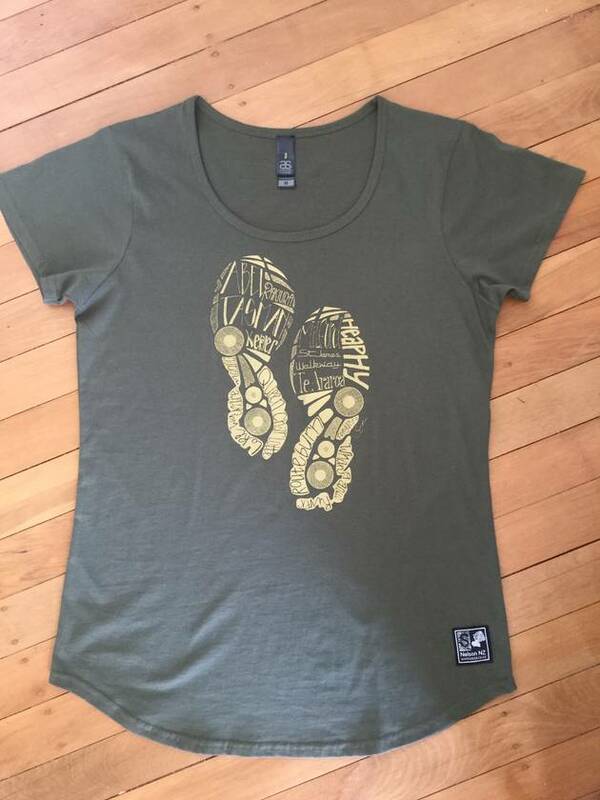 This t-shirt is available in size XSmall to XLarge. I can offer a free gift wrapping service...just let me know. Contact sonjatees to enquire about payment or shipping options.